thank you so much. 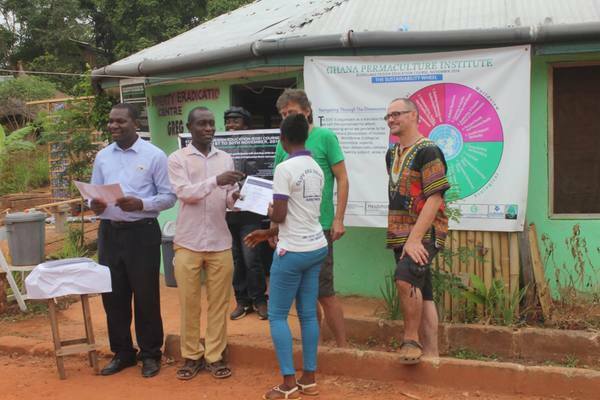 The Ghana Permaculture Institute(GPI) is doing a great job and appreciate all your support! We, SONED and GPI staff wish all of you a happy, healthy and succesful new year! The participants have been from Ghana and other westafrican countries, like Sego and Dovene from Togo, Sago from Gambia, Joshua from Nigeria, Emmanuel from Benin, Kimberly from Burkina Faso, Khaly from Senegal, Hamani from Niger and Edouard from Ivory Coast. All of them are so proud and happy that they had the chance joining this program. Edourd just wrote after the EDE: "Please know that this EDE proved to be one of the greatest events of my life. 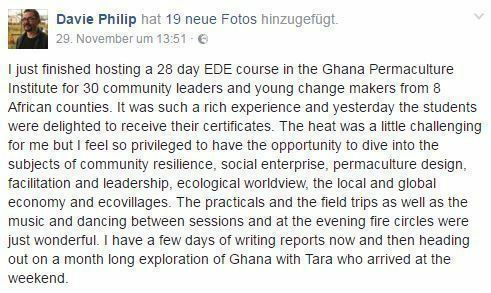 As a sustainable development professional, not only it has equipped me with the knowledge of permaculture and ecovillage, the capacity to design them and contribute to their promotion in Africa, but more importantly, it has changed my approach to sustainable development. It has opened my eyes to understand that I must adopt and promote circular economy as linear and exploitative economy system trying to balance economic effectiveness, social equity and environmental viability is inherently unable to achieve sustainability. 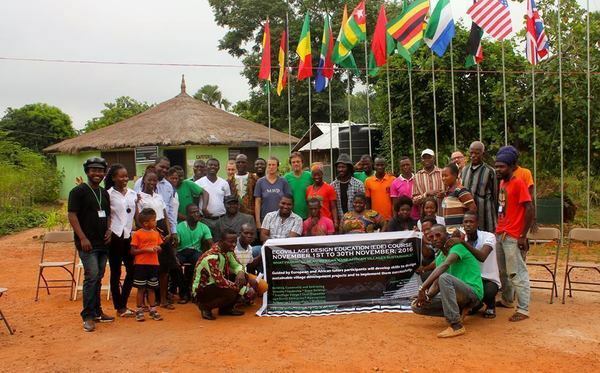 I am now even more determined to build my Institute and use it to spread the news, the knowledge and build the capacity of communities and stimulate them to engage into circular and sustainable development and living. Thank you again and again for everything." and we dont know what to say again, maybe: Thank you again and again for your support!!! We wish you a happy and healthy new year!! !